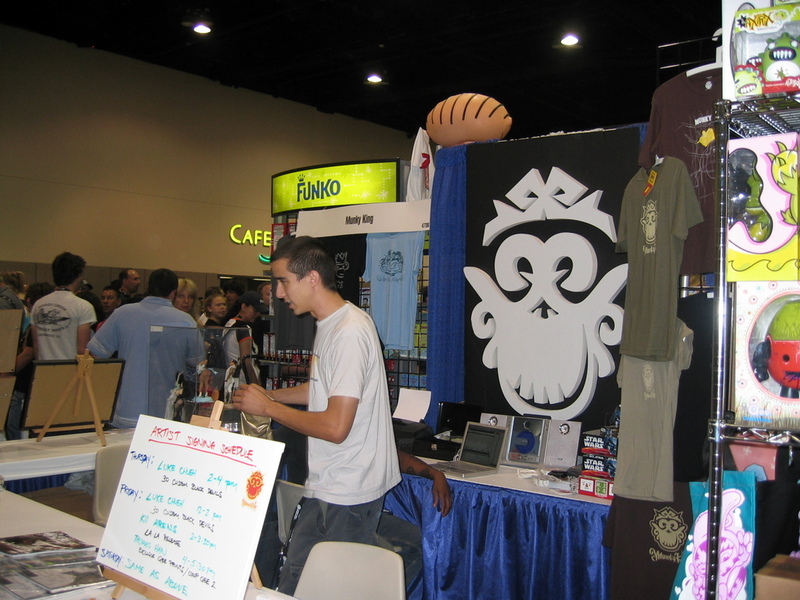 The folks at MunkyKing were putting up the finishing touches to their booth as the door opened for Preview Night at SDCC. 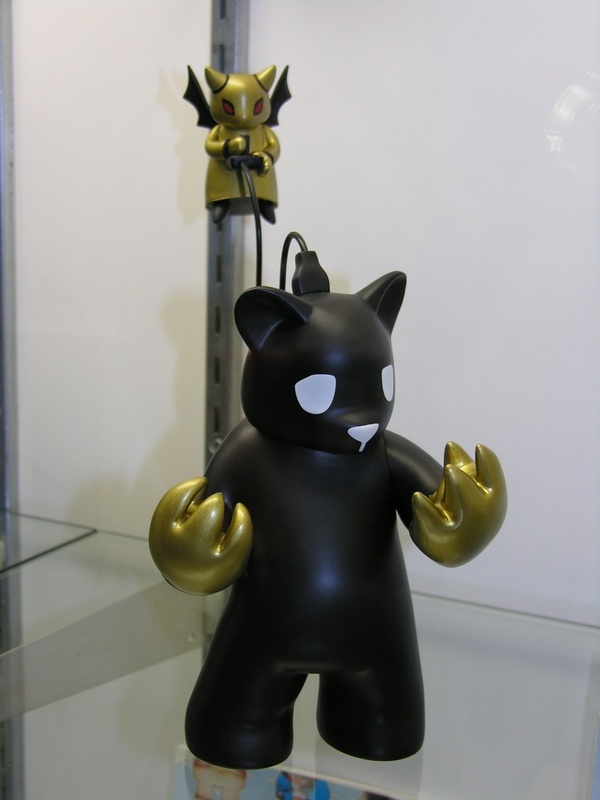 On display were 2 colorways of Luke Chueh's Possessed, the regular white version and a black/gold version. 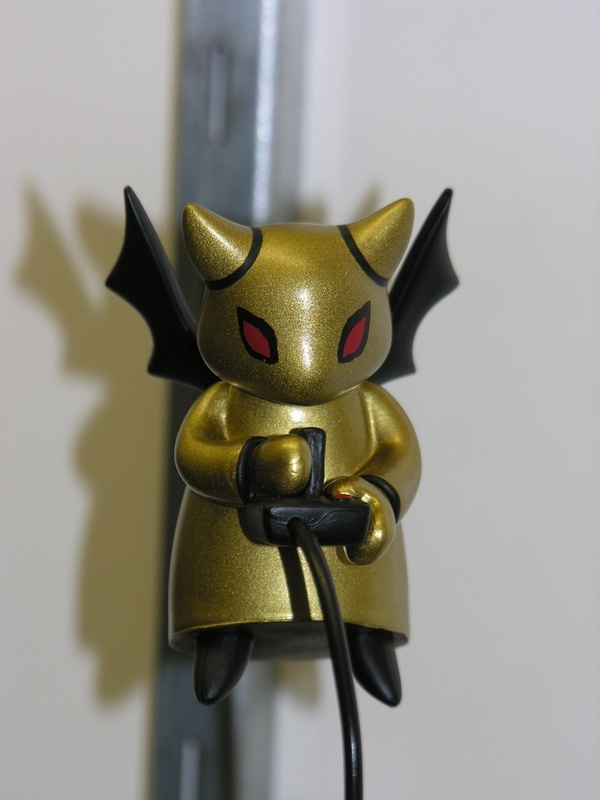 Although they were not available at SDCC, you will be able to get a special all-black version of the devil mini-fig that is part of the full Possessed toy. 100 of this mini-figure will be available for Luke to customize starting tomorrow, with 33 pieces released each day. 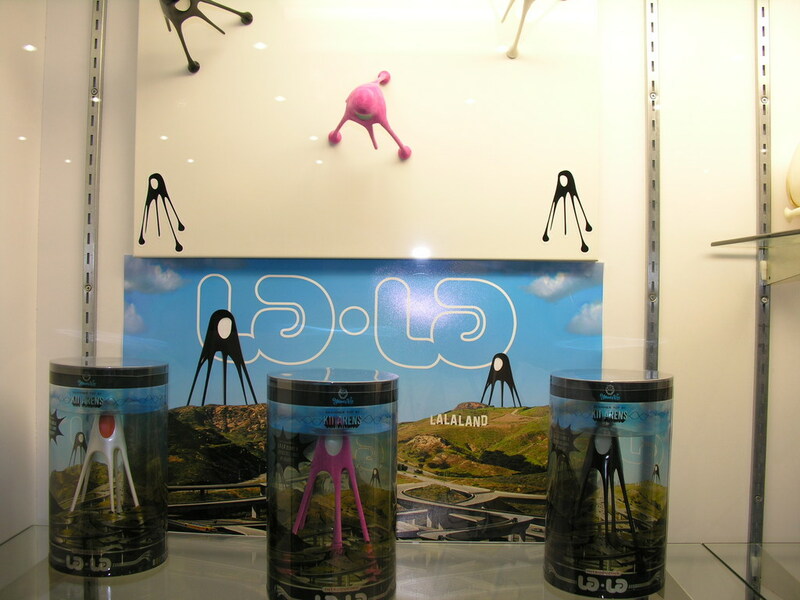 Thomas Han's Pushers protos made a surprise appearance at the booth. 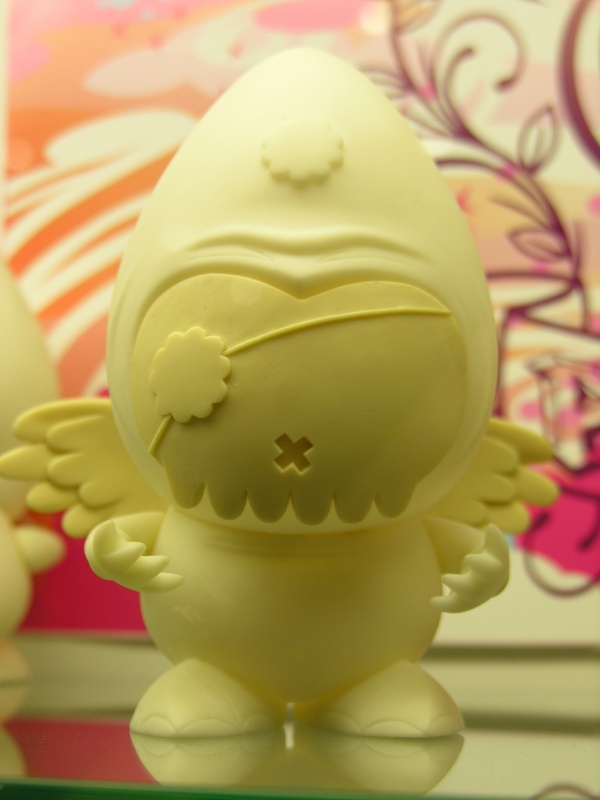 There are a total of 4 versions: Human, Animal, Angel and Devil. Human and Angel were on display tonight. 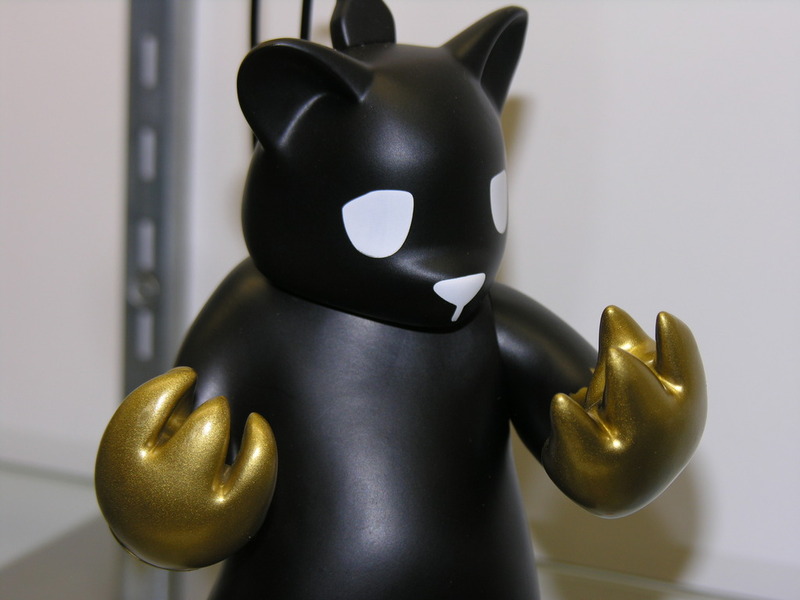 Another new toy from MunkyKing is the La-La by Kii Arens, which has magnetic feet and lights up. 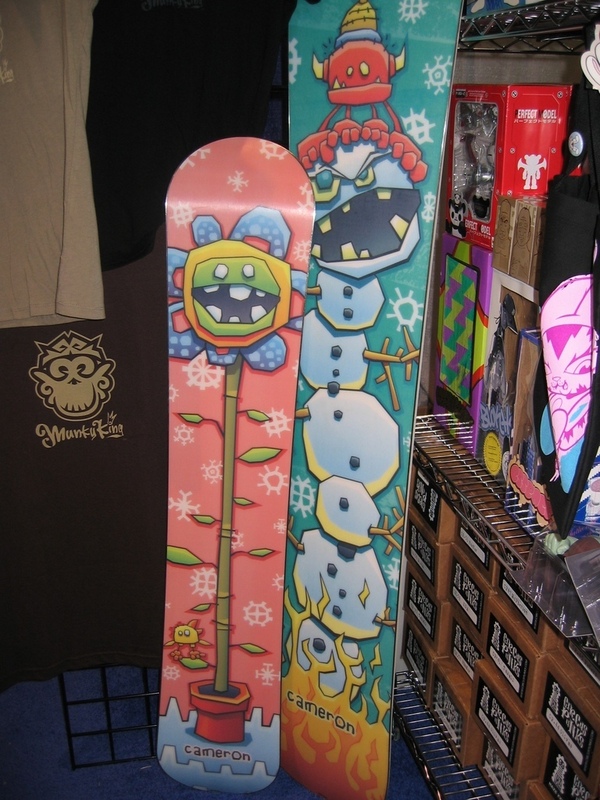 Finally take a sneak peek at snow boards from Cameron Tiede. Remember, check our downloadable schedules for a run-down on artist signings at SDCC.